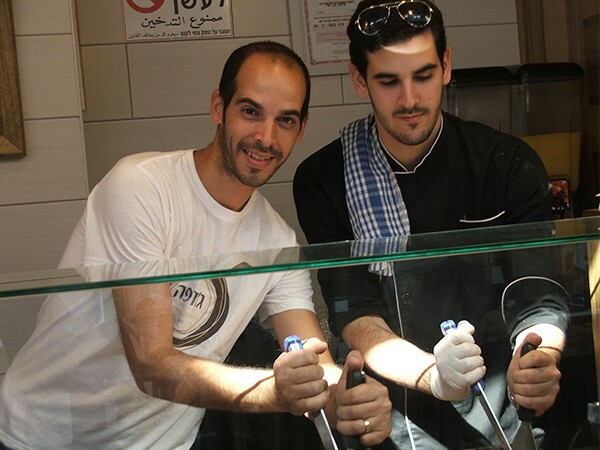 Like a lot of kids, brothers Yossi and Dor Ben Yishai dreamed about pizza. As adults, that dream transformed into owning their own pizzeria. With the help of Federation partner The Jewish Agency for Israel and its Small Business Loan Fund, they opened opened a successful Italian restaurant in the largest mall in Be’er Sheva. But during Operation Protective Edge, everything changed. Siren after siren. Rocket after rocket. In the summer of 2014, everyone in Be’er Sheva was a target for terror. I'm the co-owner of a unique business, the only one of its kind in Be’er Sheva: an Italian pizza kitchen named Josepha. It had been our dream, and we reached out to The Jewish Agency for Israel’s Small Business Loan Fund to help open its doors. With that loan, we opened Josepha in September 2012. We have a great location and on a regular day we serve about 160 customers. Be’er Sheva is a small city, so this large number of customers is really a blessing. But when rockets started threatening us from Gaza, people were afraid to leave their homes. Business dropped. We ended up using our groceries to make food for soldiers at IDF refreshment stations. Dor and I had to close Josepha for nearly two months. We lost more than 200,000 NIS ($50,000). So we reached out again to The Jewish Agency, this time for an emergency loan for business in the south suffering during the conflict. Without it, we would have had to shut down and declare bankruptcy. We and our families have invested our lives in Josepha. We are still battling debt, but that loan helped us save the business, keep it open. The restaurant is my heart and soul. I am still fighting. And having The Jewish Agency behind me makes it easier to re-establish everything step by step, day by day. Stop the Sirens, Yossi and Dor are keeping their dreams alive.